Hi! I am Nancy and I am honored to be a new designer for Really Reasonable Ribbon with wonderful and very talented team of designers who share their gorgeous projects with ribbons and bows from the Really Reasonable Ribbon store. The Really Reasonable Ribbon store has ribbons and supplies such as the Zutter Bow-It-All V2 to make your bows look professional and just beautiful on any card. 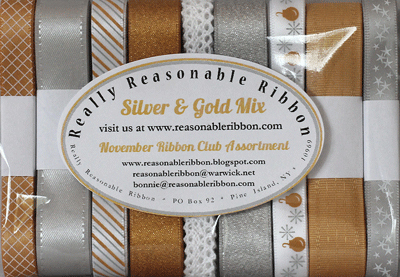 I love November's Really Reasonable Ribbon Silver and Gold Mix ribbon. Just using some ribbons from this assortment puts me in the Christmas spirit and inspires me to start making my Christmas cards now. Also, the silver and gold ribbons would look great on any anniversary or wedding cards or projects. I decided to make this Christmas card using the November Silver and Gold Mix selection of Diagonal Stripes Light Silver and Old Gold on Satin Ribbon in the center of the Delicate Stitched Satin Old Gold . I used my handy Zutter Bow-It All V2 to make this bow. I have a mold to make my angels. I used some antique gold chalk to color this angel to make it more antique looking. 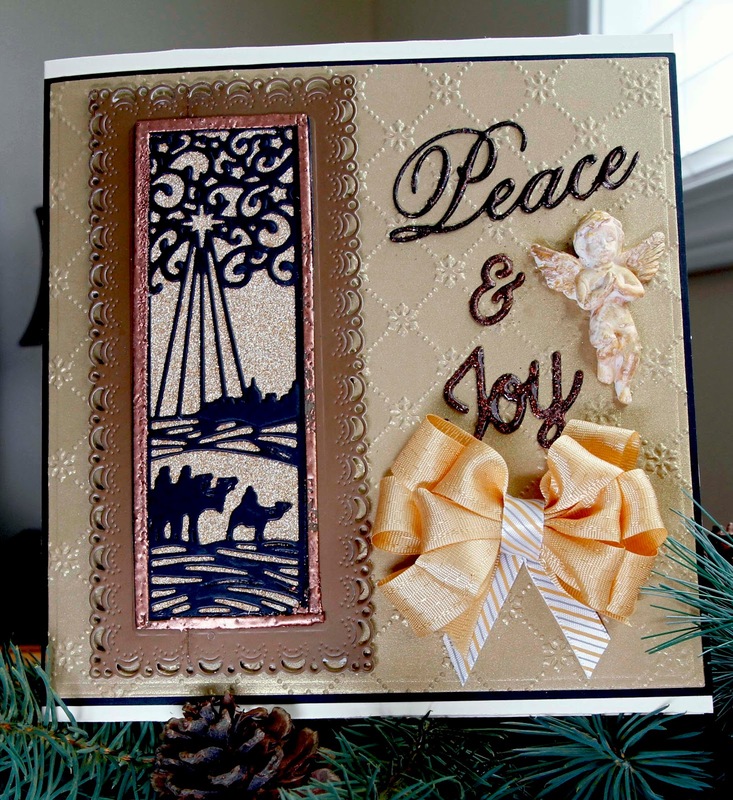 The embossing folder is from Creative Expression-Sue Wilson Design Lattice Snowflake. Peace is from Impression Obsession and Joy is a Tattered Lace die. This is a Creation Expression Sue Wilson's Wise Men Mini Striplet. The background paper behind the wise men is an antique gold glitter paper. I cut out the Cherry Lynn Design Horizontal Stacker Frame. I had to cut it down the center of this frame to fit around the Wise Men Striplet. I used foam pads behind the frame. 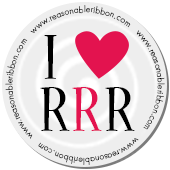 Also, don't forget to put on your calendar that the Really Reasonable Ribbon Blog Hop starts this Friday, November 13th. We really love sharing our cards and techniques with you and enjoy hearing from you. Also, enter you card with us in our current challenge "Tag, You're it" using ribbon or trim on a tag. Thank you for stopping by and a reminder that Christmas is around the corner. Order your ribbons and supplies now for the holiday seasons. Congrats on your GDT post! The wise men are amazing! Lovely colors and such a pretty bow! This is just beautiful, Nancy! Such pretty embossing and die cuts!